The following suggestions are just some of the experiences you can enjoy while visiting Potter and Tioga Counties. Be sure to check out all our attractions, dining and lodging options to make it your own Made in the Mountains experience. And, of course, if you need assistance, please contact the Visit Potter Tioga. We’re happy to help with your planning or provide additional information about all the great things Potter and Tioga Counties have to offer. Rich with verdant state forest land, glistening lakes and rivers, and stunning natural attractions like the Pennsylvania Grand Canyon, Potter and Tioga counties in northern Pennsylvania are worthy destinations for all types of adventurers. Enhance your getaway to Wellsboro, Coudersport, and other charming communities with one of the following experiences. 1. Bike the Pine Creek Rail Trail. 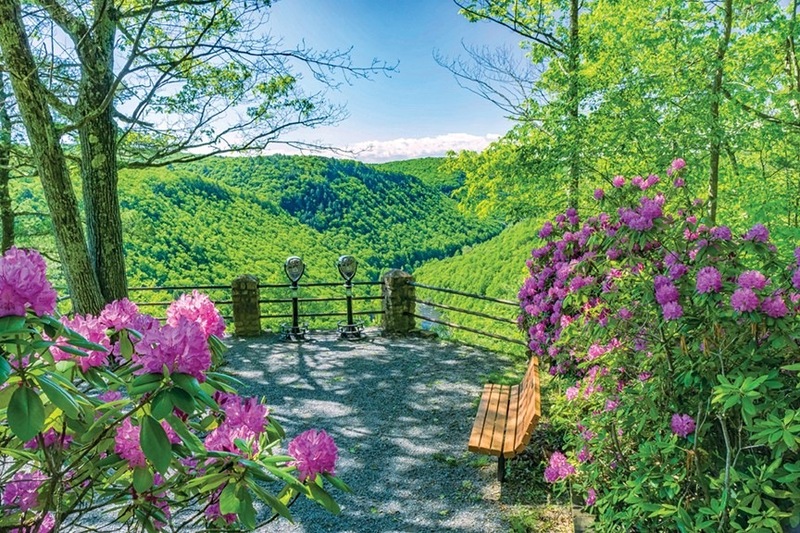 Pedal through the majestic Pine Creek Gorge - known as the Pennsylvania Grand Canyon - on the Pine Creek Rail Trail, which travels through the bottom of the landmark. 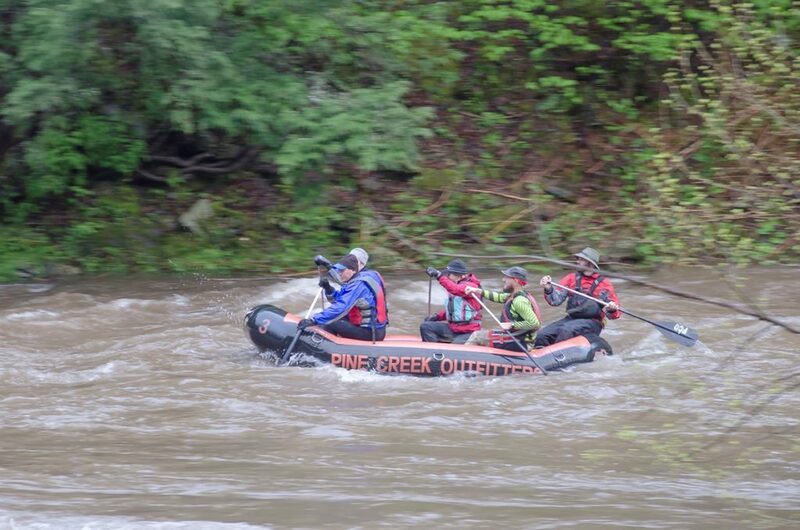 Pine Creek Outfitters in Wellsboro offers bicycle rentals and a shuttle service for convenient pick up/drop off. 2. Explore Leonard Harrison State Park on the Pennsylvania Grand Canyon's east rim. 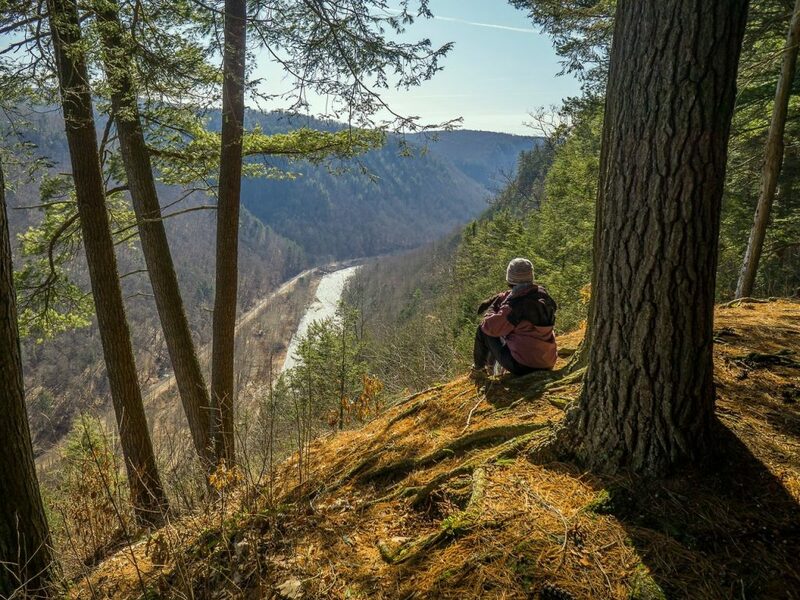 Take in some of the most beautiful panoramas of the gorge from the main overlook at Leonard Harrison State Park. Stop by the visitor center and gift shop, and get your heart pumping on the challenging-yet short-Overlook Trail. The easy Rim Trail at Colton Point State Park is great for families, linking all the overlook viewing areas, while the difficult Turkey Path Trail is ideal for seasoned hikers and offers a view of a 70-foot waterfall. 4. 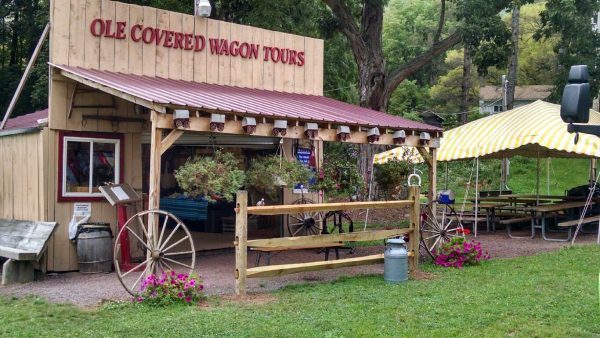 Book an unforgettable guided Pennsylvania Grand Canyon tour. Ole Covered Wagon Tours offers two-hour covered wagon excursions that travel into the heart of the canyon and include insight into the area's history. Choose the four-hour waterfall tour on Wednesdays to add a waterfall stop to your ride. 5. Embark on a Pennsylvania whitewater-rafting adventure on Pine Creek's class II and III rapids. Wellsboro's Canyon Cruises offers guided trips through the canyon that include cool perks like waterfall hikes, wildlife watching, and hearty lunches. 6. Survey calmer waters on a stand-up paddleboard. Crooked Roots Adventures in Gaines will set you up with everything you need to get out on the lake or give you a paddling lesson followed by a one- to two-hour guided float. 7. Experience the area's dense woodlands, sprawling meadows, and peaceful rivers on horseback. Tioga and Potter county's bucolic landscapes are even more breathtaking with a horse in frame. Summit Trail Ridesin Coudersport boast an array of rides for all abilities. 8. Stargaze at Pennsylvania's only Gold Level International Dark-Sky Park at Cherry Springs State Park. 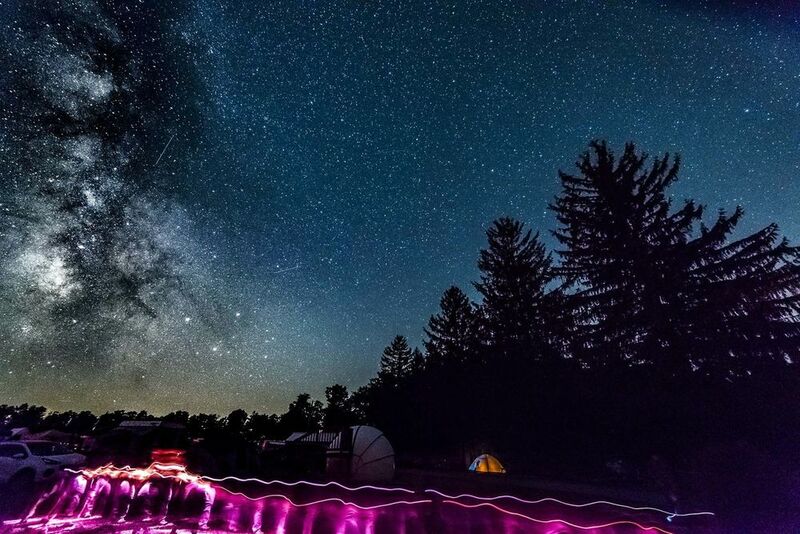 Unobstructed 360-degree views of the night sky await on Wild Asaph Outfitters for a stargazing tour. 9. Enjoy a guided rock-climbing trip at Asaph Wild Area. Ascend large sandstone rocks amid lush forests under the wing of a rock-climbing pro from Pine Creek Outfitters. Full-day trips include climbing gear, instruction, and lunch. 10. Fly-fish at Rainbow Paradise Trout Farm and Fishing Park in Coudersport. Multiple ponds are stocked with thousands of trout - guaranteeing that you'll bag a catch. Rods are available for rental, and fishing licenses are not required. When you travel to Visit Potter Tioga, you’ll find attractions, lodging, dining, and shopping that are uniquely Potter and Tioga Counties. 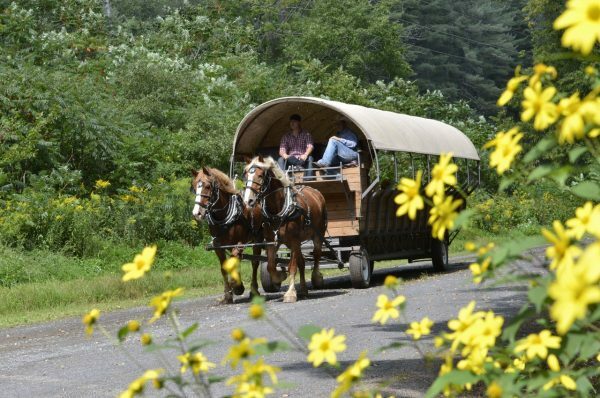 Start your first morning with Ole Covered Wagon Tours on a horse-drawn covered wagon ride through the bottom of the Canyon. This guided excursion is a great introduction to the history of the Pennsylvania Grand Canyon. 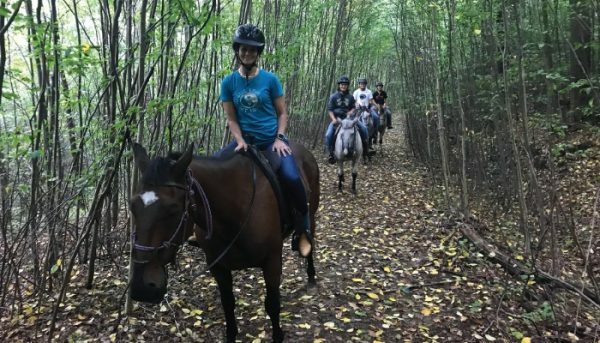 Relax to the clippity-clop of the horses as you enjoy the surrounding scenery, and you might even catch sight of some indigenous wildlife and foliage. The tours operate from the beginning of May through the end of October. Please check the schedule for availability. 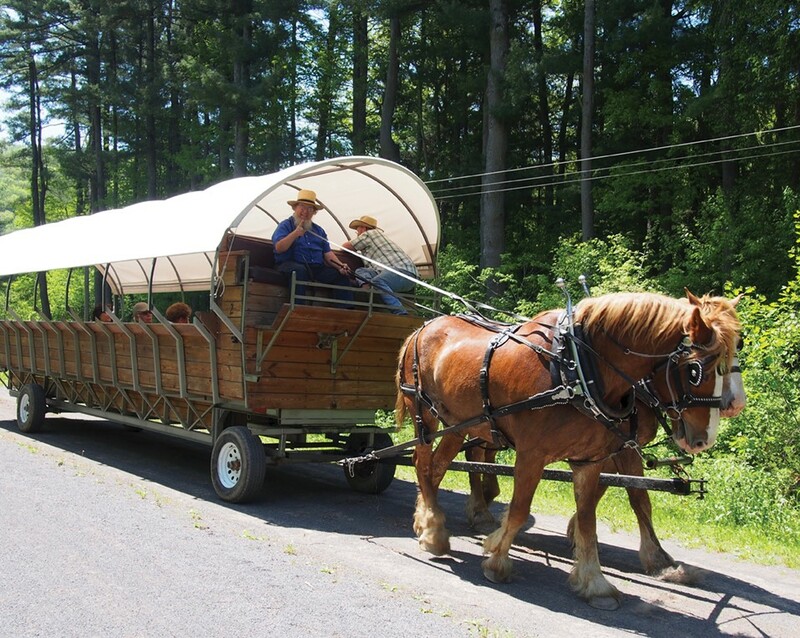 After your wagon ride, journey to Leonard Harrison State Park for a view of the Gorge from above. You’ll see the trail you traveled from a new perspective. Take some time to view the video in the visitors’ center then stroll along the walkways to view this spectacular area. For another view, head to Colton Point State Park on the West Rim of the Canyon. If you feel like a short hike, Barbour Rock trail is located along the left side of Colton Road before you enter the park. This ADA accessible trail leads you to a breathtaking lookout. Or if you prefer, stay in your vehicle and drive into the park. You can stop at other lookouts that only require a few steps to viewing areas. On your next day, see the area from the comfort of your own vehicle. The Visit Potter Tioga website has three downloadable driving tours available including Woods & Vistas, Farmland, and Lakes. Or, stop in to our Visitors Center located at 2053 Route 660 in Wellsboro and we’ll provide you with a printed copy. The driving tours offer turn-by-turn directions. They vary in length and areas of the county. Or, you can just explore some of our many attractions, small towns, and scenic areas. One option is drive to the northern part of the county. A must-stop is Draper’s Super Bee Apiaries located in Millerton. From Route 15 north of Mansfield, take the exit for Route 287, and at the end of the exit ramp, turn right onto 287 north. Follow until you come to the junction of Route 328 (red light), turn right onto Route 328 east and continue for approximately seven miles. You will see the blue and white state sign directing you to take the next left turn. At Draper’s, you’ll find out about their Made in the Mountains business, which includes supplying honey to the White House for over 25 years, shipping honey products around the United States and many other countries around the world. Drapers loves to give tours. Hours of operation are Monday – Friday, 8 AM to 5 PM and Saturdays, 8 AM to 1 PM. 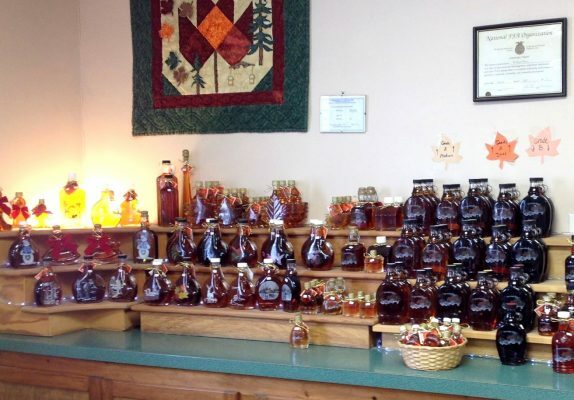 After learning about honey products, how about some Made in the Mountains maple syrup? Follow 328 back to 287 north. Turn right onto 287 north and follow it to Lawrenceville where you will catch Route 49 west. This road will take you to Westfield where you will turn left onto Route 349 south to Sabinsville, follow signs from Sabinsville to Patterson’s. Patterson’s Maple Farms offer tours Monday through Saturday, 10 AM to 5 PM (due to the nature of a working farm, these hours are subject to change, so please call to make tour arrangements). 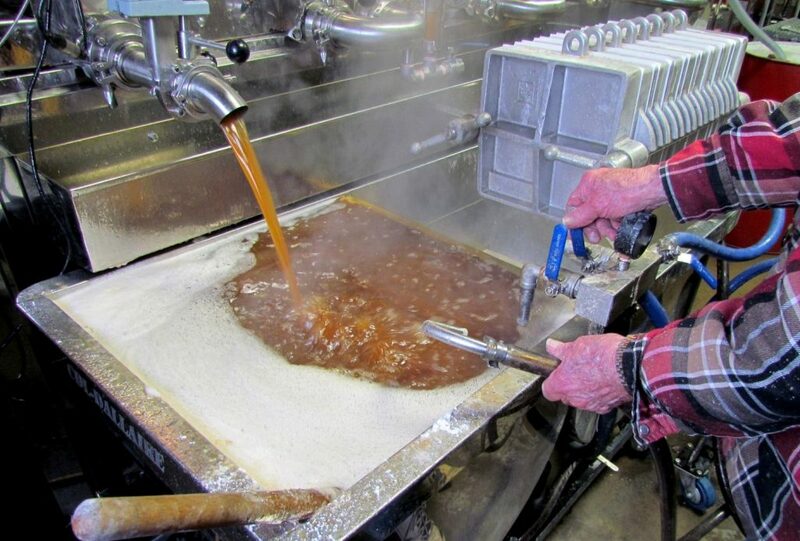 Patterson’s is the largest producer of maple syrup in Pennsylvania and the second largest private producer in the United States. Patterson’s is one of many maple producers in Tioga County. For a chance to tour all of the maple operations and sample their many goodies, visit the area during the annual Maple Weekend. Held in March every year, this weekend provides visitors with the opportunity to see how sap is gathered and turned into sweet treats! When you depart Patterson’s you can travel back to Route 349 and follow it to where it ends in Gaines. Turn left at the stop sign and you are travelling Route 6 east back to your lodging. Depending on time, you might like to consider dinner at the Log Cabin Inn, the Old Antlers Inn, or the Ansonia Valley Inn before you head back to your room. On Day Three, it’s all about you. Pamper yourself with a massage or other services by Emerge Healing Arts Spa in downtown Wellsboro. Emerge offers spa services like hot stone massage and integrative massage, salon services, and yoga instruction. 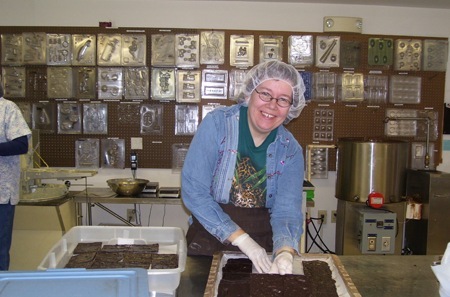 After some healing relaxation, a trip to Highland Chocolates, our local chocolate maker or to the shops of Tioga County is in order. Stroll beautiful downtowns, find some local products, or enjoy lunch at one of our area restaurants. 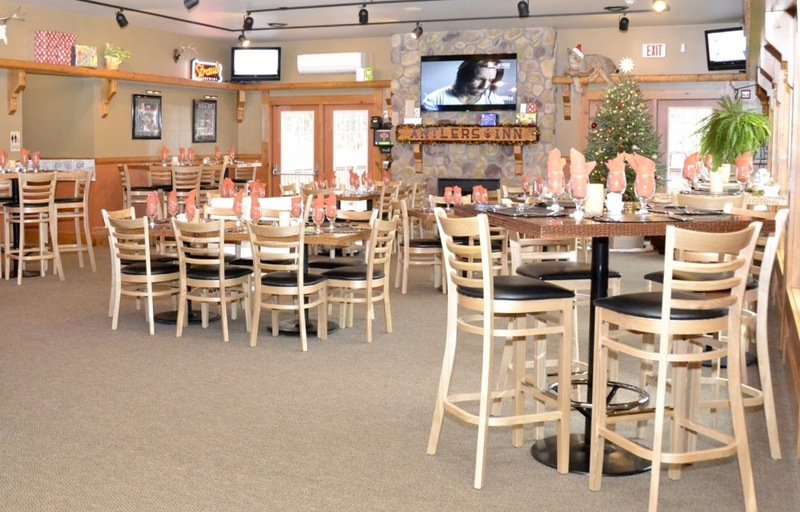 When you’re here, we want to make sure you have a great time Made in Potter and Tioga Counties! Are you an active adventurer who’s looking for a more hands-on experience? We have it in Visit Potter Tioga! Start out with an introduction to the Pennsylvania Grand Canyon at Leonard Harrison (East Rim) or Colton Point State Park (West Rim). Take a challenging hike on the Turkey Path (from either rim) which descends to the bottom of the Gorge. Enjoy waterfalls along the way, but remember to wear sturdy hiking shoes and pack some water. If you’d like to add some biking to your trip, there are lots of options. 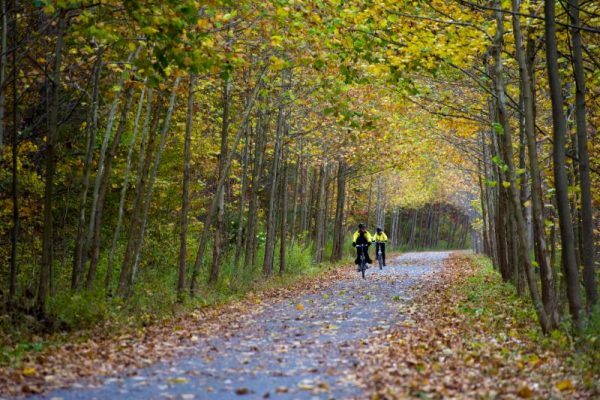 Would you like to travel along the Pine Creek Rail Trail, a 62-mile long trail that starts just north of Wellsboro and travels south through the PA Grand Canyon and ends in Jersey Shore, PA? This trail is a hard-pack gravel surface with a 2% grade along its entire length which travels slightly downhill from north to south. The trail offers opportunities to enjoy the scenery, enjoy a picnic or stop at some villages located along it. Bike rental and shuttle service is available through Pine Creek Outfitters should you opt to ride the trail in one direction. If you’d prefer mountain biking, we have it. 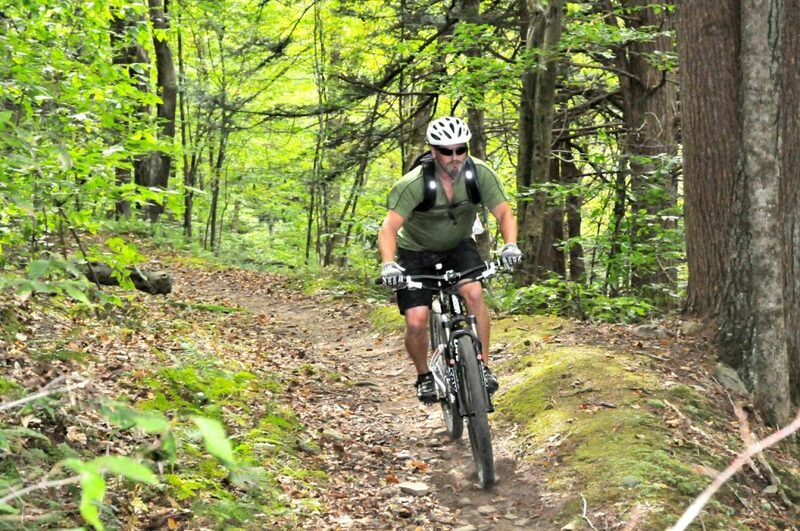 There are many trails to enjoy on your own, or if you prefer, you can set up a guided mountain biking experience with Pine Creek Outfitters. Imagine miles of some great single track on old logging roads and on smooth forest roads through the Tioga State Forest. With eight lakes and Pine Creek available, canoeing and kayaking are also options. 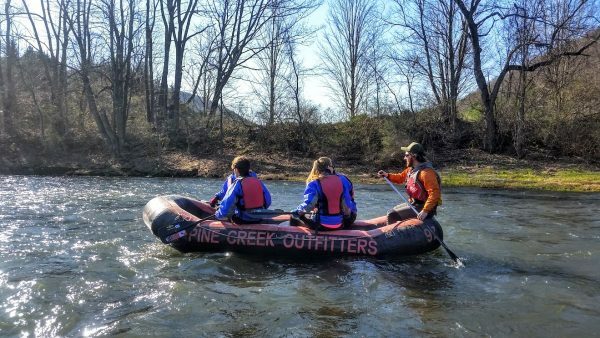 Early spring is a great time to raft Pine Creek, and guided services and equipment are available through Pine Creek Outfitters and Canyon Cruises. Kayak and canoe rentals are also available for the lakes if you would prefer to enjoy the waterways during the summer or fall. You can pick up your boats or have them delivered to your waterway of choice. On another day, how about a guided horseback ride with Tioga Trail Rides. Take a one-hour or two-hour ride on gentle horses while you enjoy some beautiful scenery. Reservations are required, but walk-ins are welcome if a ride is already going out. 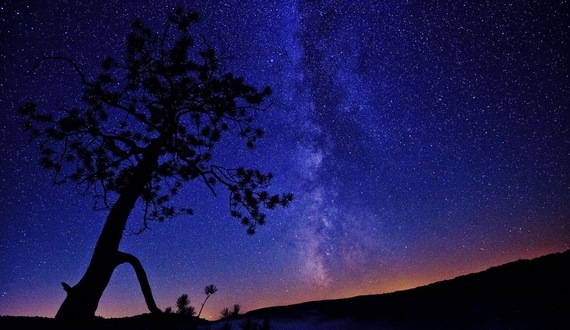 Your evening can be spent with Canyon Country Cabs going to a stargazing event at Cherry Springs State Park. Let them do the driving as they pick you up and return you to your lodging facility for an evening of organized star or moon gazing at the darkest spot east of the Mississippi. Your next day can start with 18 holes of golf at Tyoga Country Club, given a four-star rating by Golf Digest. This course offers challenge, beauty, and an opportunity to enjoy the views. And if you’d like to enjoy more views from the air, do some aerial sightseeing with a plane tour at Wellsboro-Johnston Airport.